Panus Semi-trailers and its hard-working dealer network is fast growing a strong reputation for its “can do” attitude when approached by transport operators who are needing to “gear up quickly” when a new contract is awarded. 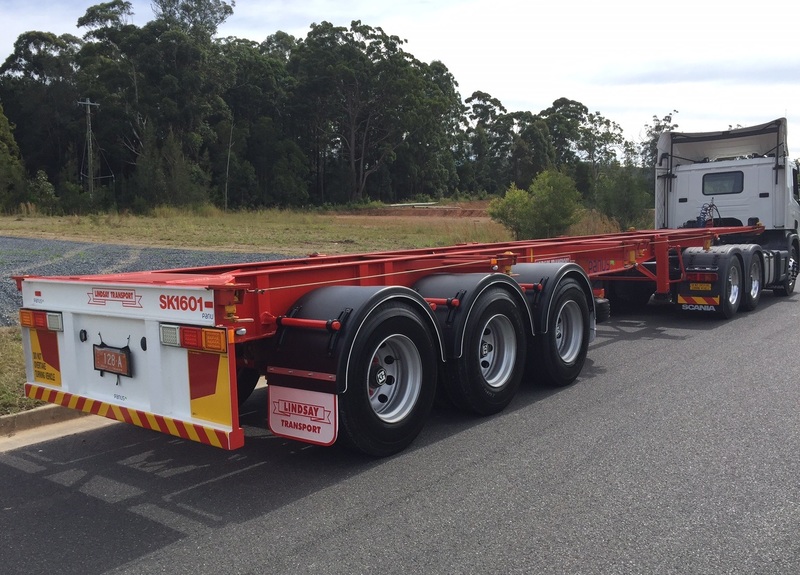 This was exemplified by Kevin Schuhmann and his team at K&J Trucks Coffs Harbour who recently provided Queensland based Lindsay Transport with an available Panus Skeletal trailer solution to help them with a short haul contract transferring containers. The Panus philosophy of ensuring its dealers have adequate levels of trailer stock to cater for demand across the country, means transport operators can be confident of finding the right equipment, at the right price to help win contracts and minimise any delays in starting work. Panus Semi-trailers now has a range of solutions available for delivery including Drop Decks, Flat Tops, 40ft Skels, Retractables, B-Double Skels and we can even custom build to specific applications.